An office-and-retail development at the Interstate 25/Colorado Boulevard interchange is going gourmet. 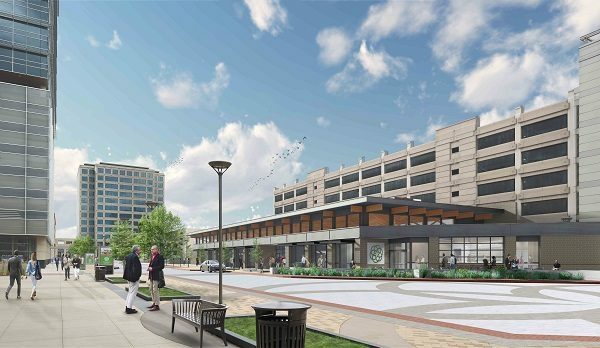 Lincoln Property Co. broke ground this week on the latest addition to Colorado Center at 2000 S. Colorado Blvd. — a food hall. The collective eatery, dubbed Junction Gourmet Pavilion, will add 12,200 square feet to the development’s footprint. It will be attached to the north side of the development’s Tower 2 parking garage, facing inward at the rest of the development. 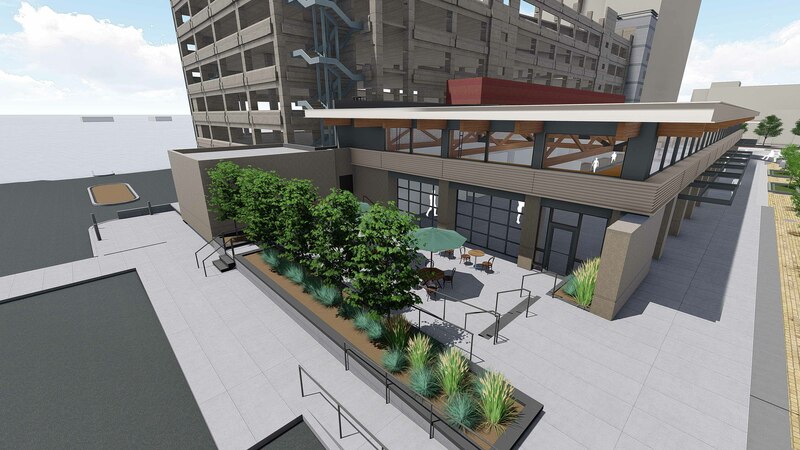 Teboda said the food hall, slated to open by January, ultimately will house 10 restaurants, as well as a coffee shop and 40-foot bar. It also will feature a large outdoor patio. Teboda said the food hall is partially leased, but declined to discuss specific tenants or how many spaces remain. She did say the company is looking for original concepts. GH Phipps is the general contractor for the development, which was designed by Tryba Architects. Food halls have popped up across Denver in recent years. Broadway Market is the latest to open, in the Golden Triangle. Others are planned along 38th Avenue in West Highland, and just outside city limits in the suburb of Edgewater. The Colorado Center complex originally was developed in the late 1980s. Lincoln Property Co. acquired it in conjunction with Washington, D.C.-based ASB Capital Management in 2006, according to its website. The firm finished construction of a new office building — the Colorado Center’s first addition since 1999 — in 2017. In addition to its office space — which has lured tenants such as health insurer Cigna, law firm Ogletree Deakins and Vectra Bank — the Colorado Center also houses the Regal United Artists IMAX movie theater and a Dave & Buster’s. Lincoln is discussing the possibility of adding residential units at the site, but hasn’t committed to doing so, Teboda said.